The German Federal government has released new statistics that show radical Salafist Muslim preachers are targeting underage migrants and trying to recruit them. 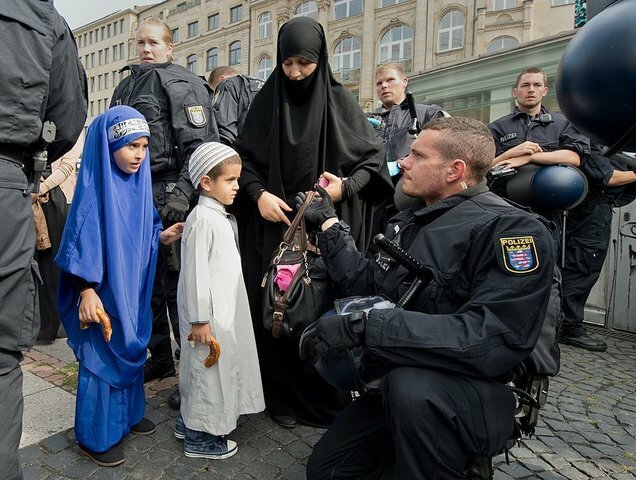 New statistics obtained from the Interior Ministry by German media shows that the government believes that the influence of radical Salafism is a growing trend among a growing number of underage migrants. Salafist preachers are increasingly recruiting young migrants in and around the asylum homes where they live, Die Welt reports. At least 340 cases have been recorded by the Interior Ministry of Salafist preachers recruiting underage migrants since October of last year. According to the ministry, more than half of those cases occurred in or around asylum homes. The experience of the government shows many of the Salafist groups do not turn up at migrant shelters openly preaching, but rather use giving aid as a front for their activities. The Salafists distribute food, religious items like prayer mats and Korans, and give cash to the migrants. The government believes that under this guise the Islamists have been able to target an increasing number of young Muslims who they say are the most susceptible to recruitment. Ulla Jelpke of the Left Party has called for an increase in scrutiny of the Salafist groups saying it is questionable that the Federal government does not think of new and effective ways to combat the propaganda of Salafist preachers. Ms. Jelpke has been a constant critic of the migrant policy of the government, more often for not being welcoming enough and even accused the government of “stereotyping” migrants after it was revealed how many were connected to terrorist groups. Jelpke said that it was the responsibility of the government to “protect” migrants from the radical preachers and recommended that the government should allow “speedy integration” so that migrants can get out of the asylum system sooner. The German Federal Police (BKA) chief Holger Münch announced that the number of migrants that are suspected of terrorist links or radicalisation has also increased. Speaking to German media he said, “At the moment we count 523 investigations,” up from 501 in June and following a trend raised by the chief of the Frankfurt police who earlier this month said that children raised by Salafist preachers or Salafist parents were a long term danger to German security. BKA chief Münch tried to assure the public that his police had already arrested some 80 Muslims linked to ISIS and other terror groups and the remaining suspects were under observation and the police had a “coordinated action plan” to deal with the threat.